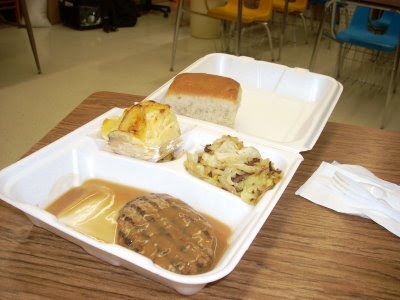 Contents: A roll, salisbury steak, dessert, hash browns. Notes: This looks ok I guess, but not great. Needs some veggies, and maybe another of that great looking roll.